Need something to do today? Check out A Thing To Do Today in Warsaw. Here's A Thing To Do Tomorrow in Warsaw. Discover ideas for indoor and outdoor events and activities to see, do, visit and experience tomorrow for Warsaw. Have an adventure. Get a bird's-eye view of Warsaw. 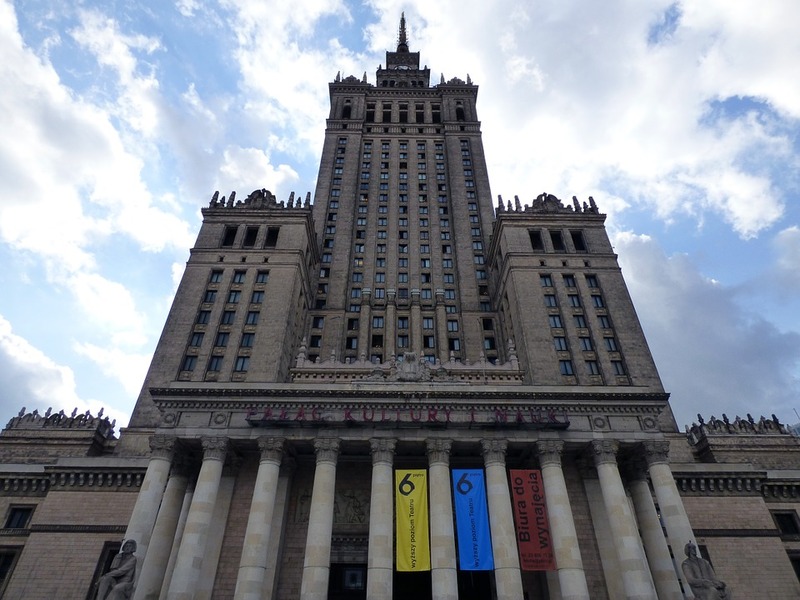 Built in the 1950s as a 'gift' from Soviet Russia, the gigantic Palace of Culture and Science (known as PKiN), towering 231m above Warsaw, is not universally liked. Between 10am and 8pm today, get the lift to the 30th floor observation deck for extraordinary views of the city - and if you do hate the building, it's probably the only place in Warsaw where you can't see it! A Thing To Do Tomorrow generates things to do and places to go tomorrow, online and offline, this spring, for Warsaw and beyond - whether you're visiting Warsaw or a Warsaw resident. To see another thing to do, just reload the page. Find out more about the site, or for comments, suggestions, corrections, donations, or just to say hi, email john@athingtodotoday.com. Or check out social media @athingtodo.